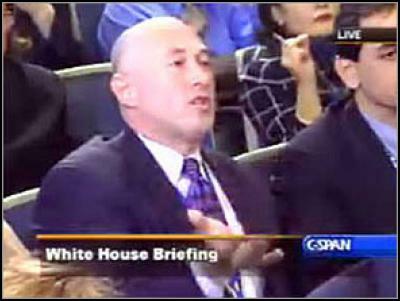 The James Guckert/Jeff Gannon, Fake Reporter In The White House Question Is Moot! Why did President Bush and Scott McClellan, the President’s spokesman, call on Mr. Guckert/Gannon so often in those two and a half years and how could other reporters not write about Talon News and GOPUSA’s illegitimacy? Veterans of the White House beat sometimes don’t see a question for years. Was he a plant? Everyone seems to be looking around at each other and tsk-tsking the lack of outrage on each other’s part, as if to say “This is terrible -someone do some real reporting”.